This pure white bouquet of Casa Blanca lilies makes an elegant statement as a perfect floral tribute, centerpiece or decorative arrangement. These lovely lilies also leave a soft fragrance in the air. 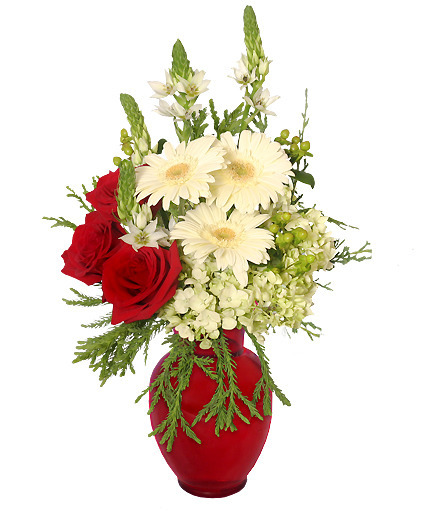 Show loved ones that you care with fresh flowers from FLORAL AFFAIRS. That's right!! 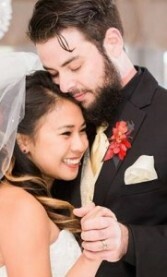 No pins, we've created custom boutonnieres and corsages that stick right on! You can stick them on jackets, vests, shirts, dresses even skin. Not recommended on crocheted sweaters. Call today to find out more.